Hi there! 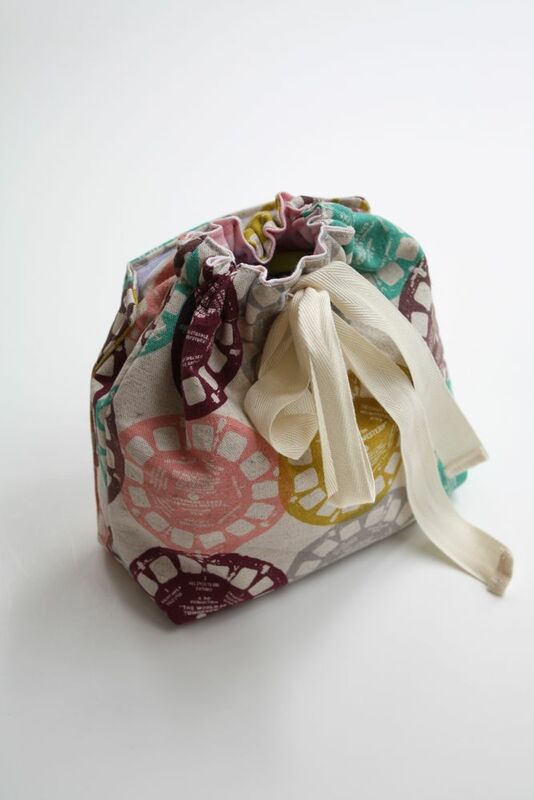 I’m Jess from Craftiness is not Optional and I have a fun little project to share today! 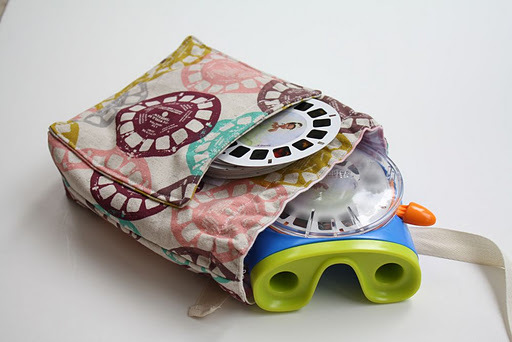 Introducing (for a second time) the handy dandy Viewmaster pouch! It has a pocket for slides! It ties up with a drawstring! I made one of these last summer for Sadie, and we’ve used it ever since. 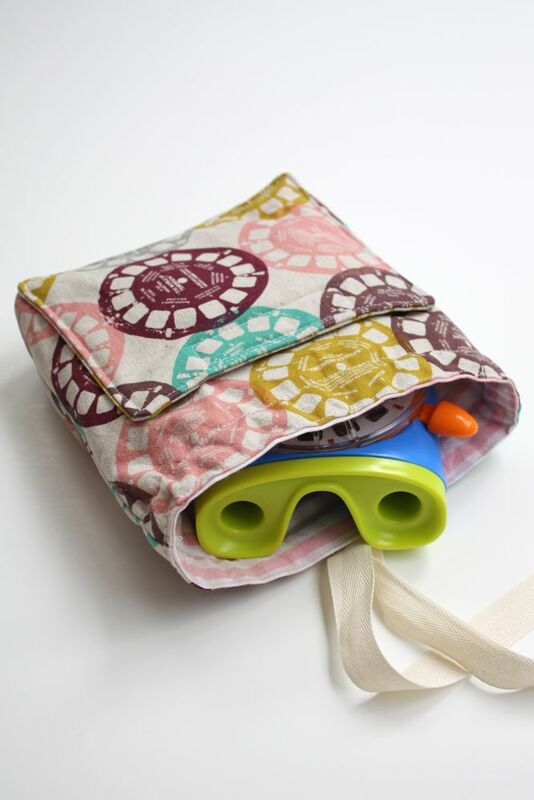 It’s fabulous for keeping all those little slides in one place, and easy for her to use also! However, the minute I saw this amazing fabric I had to have me some to make another pouch! 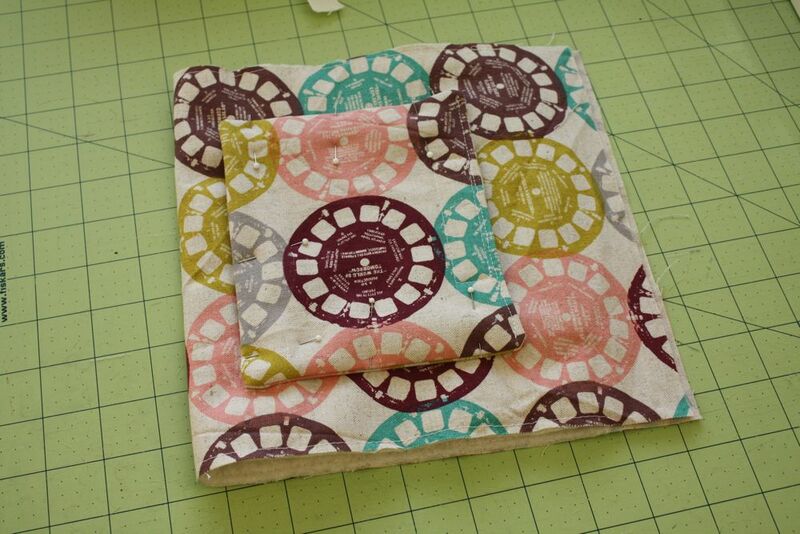 Not that we need one, but I wanted to do a tutorial this time, and this fabric is perfect! So, would you like to make one? Here’s the how to! So first I cut out my pieces. For the batting, I cut one piece 14.5″x9″, and one piece 5.5″x6.5″. 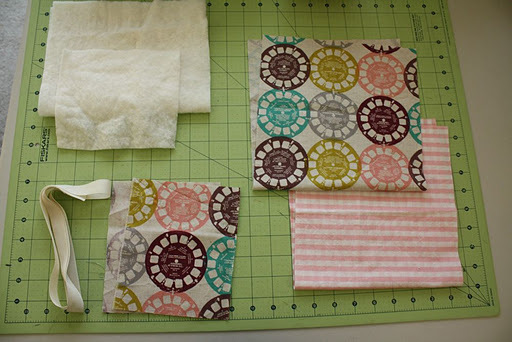 For the shell fabric, I cut one piece 19″x9″, and two pieces 5.5″x6.5″. For the lining, I cut one piece 18″x8.5″. First off I made the pocket. 1. I laid out the pocket pieces (the 5.5″x6.5″ pieces of the shell and batting), the shell pieces right sides together (RST), with the batting on top. 2. 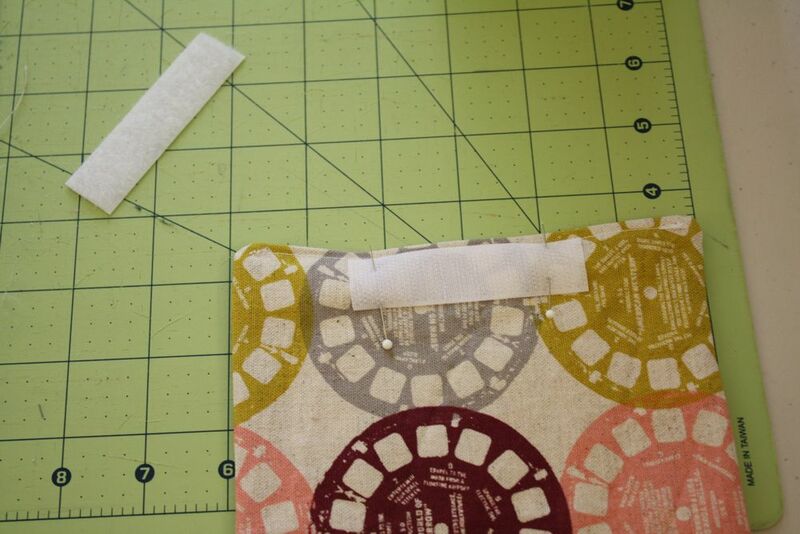 Then I pinned it together and sewed around the pocket (1/4″ seam), leaving a 2 inch opening on one of the longer sides. Then I turned it right side out using that opening and pressed it with my iron. 3. Then I pinned where my opening was, and sewed along that side to close it up. Set the pocket aside. Then I laid my large batting piece on top of the wrong side of my shell fabric, lining up the long edges, and leaving 1.75″ on either short end. I then basted the batting and shell fabric together along the sides. Then I took my 3″ piece of velcro and positioned it on the wrong side of my pocket (near the top), and sewed one piece to that. Then I folded the shell and batting piece in half like so, the fold is to the left in this picture. 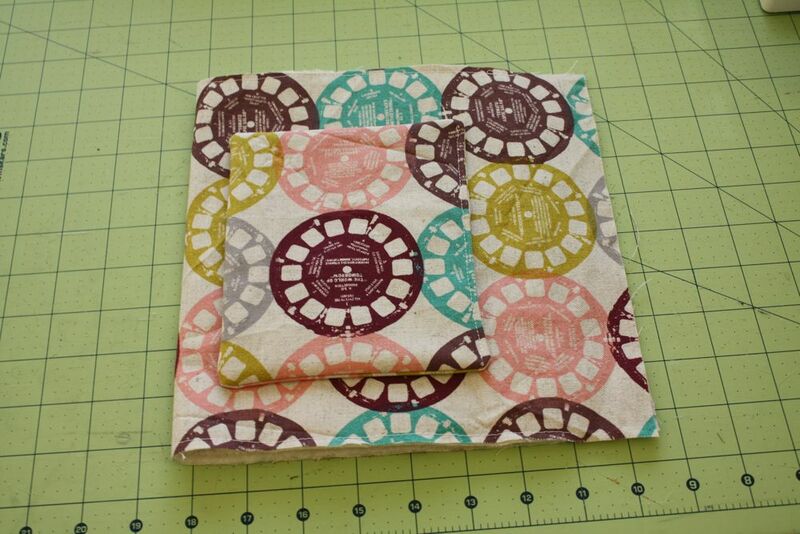 I laid out the pocket where I wanted it, about 1 inch from the folded bottom and centered in the middle. Then I positioned the other piece of velcro on the shell fabric, pinned, and sewed that on. Then I pinned the pocket on, and sewed along the remaining three sides. 1. Folded the shell fabric in half again, RST, and sewed along the sides. 3. and then sewed it up to create a box corner. Repeat for other corner, and then repeat these steps for the lining piece as well. 2. I then found a button to make the right size button holes for my casing size. 3. Make buttonholes in the casing (the part you ironed down) Rip open buttonholes with your seam ripper. 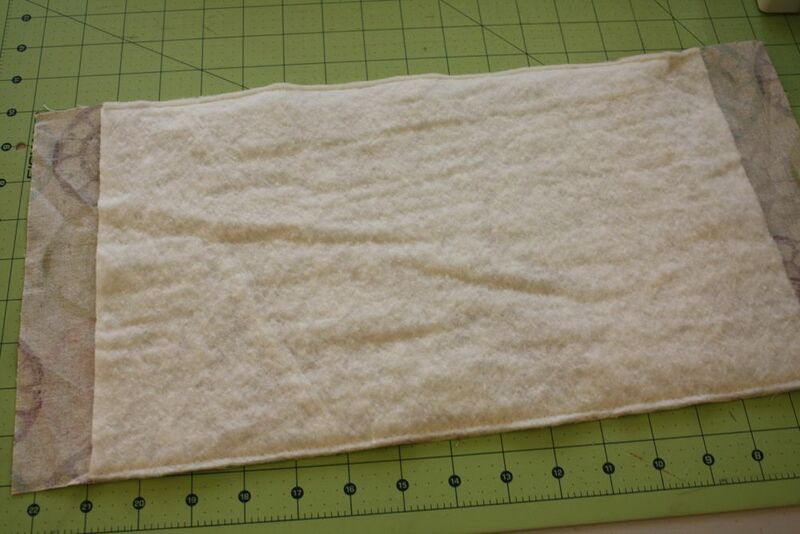 2. and sewed them together along the top, about 1/8″ from the edge. 3. then I sewed around again to make the casing, a little less than an inch from my previous stitches. I used my grid on my sewing machine to help line it up and keep it straight. 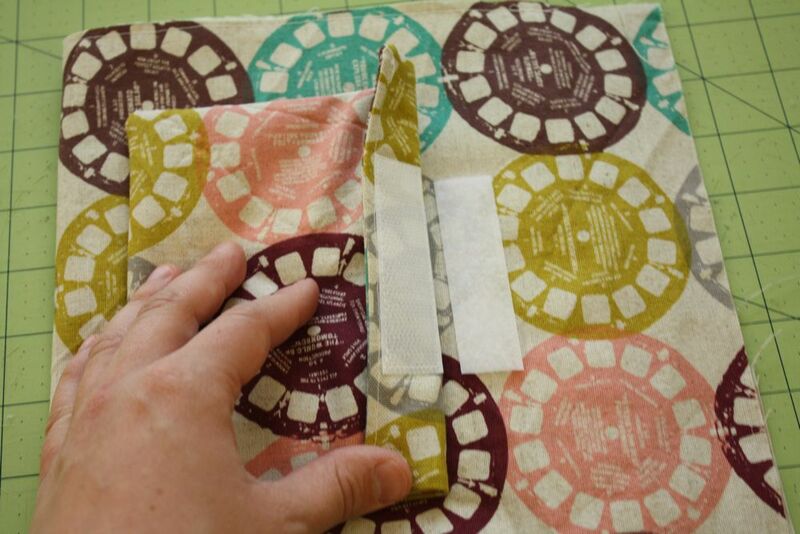 Then, thread your ribbon or twill tape through the casing with a safety pin, and you’re done! 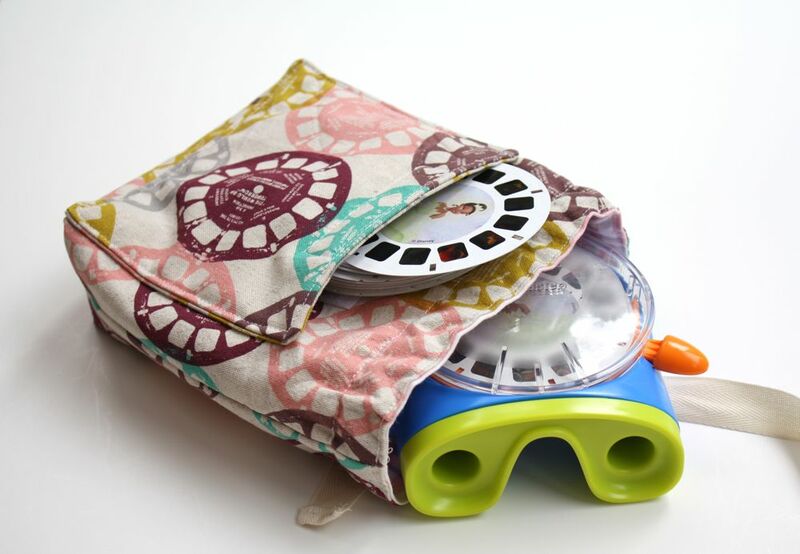 A fun little case for a Viewmaster, or to store other toys in…Polly Pockets, etc. Its great for traveling with kids. Thanks so much to Becky for having me here! Oh the old viewmaster! I am channeling my 70s childhood right now! I found a viewmaster at the Value Village, but haven't found many slides yet. What awesome fabric! love. love. love. beginning sewer here – don't know what twill tape is….I will have to investigate. 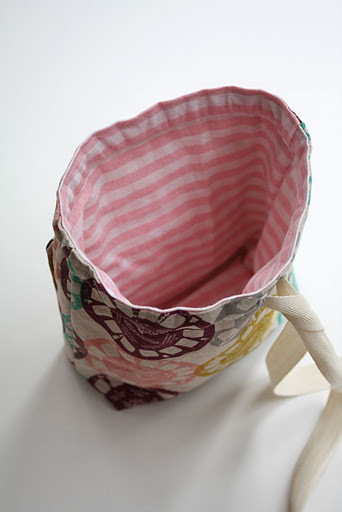 Love the bag – my daughter loves little purses and such – I will have to make one! Kathy, tkanhs for the link! That’s perfect. Love your birdie! Duh! Didn’t think about making one. I have been waiting for this tutorial! Thank you so much! That fabric is so cute. You must have blown a lid when you found it. Then you must have blown another lid when you realized it's, like, $22/metre. Seriously though, super cute and thanks for the tutorial. Hey there! 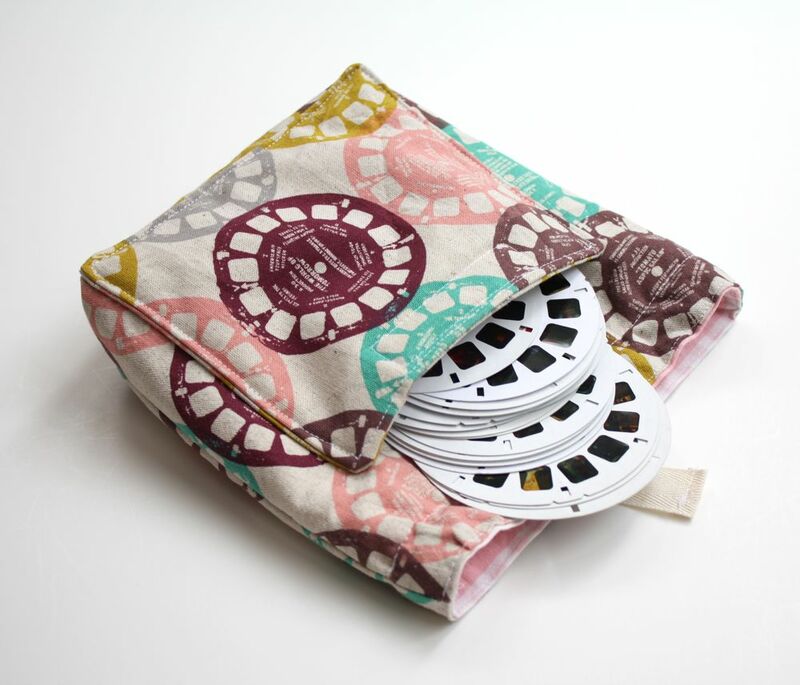 Just wanted to let you know I linked your tutorial in my blog, Sew Lindsay Sew: http://sewlindsaysew.wordpress.com/2011/06/03/flashback-friday-viewmaster-pouch/Thanks for sharing this awesome tutorial!